256/365. wherein i discover the jetta sportwagen control to turn off bluetooth autoplay. why is this even a thing i have to do apple? so a few days ago i vented about issue i was having that for some reason apple music on my iPhone had started randomly taking over car bluetooth connection, playing songs from a U2 album i didn’t buy. at the time i lamented that it was the lamest product/brand experience i’ve ever had with apple. “stop trying to shove apple music down my throat. maddening”. responses from twitter, Facebook and email suggested i was not alone. a few google searches later and i discovered i was discovered i very much not alone. 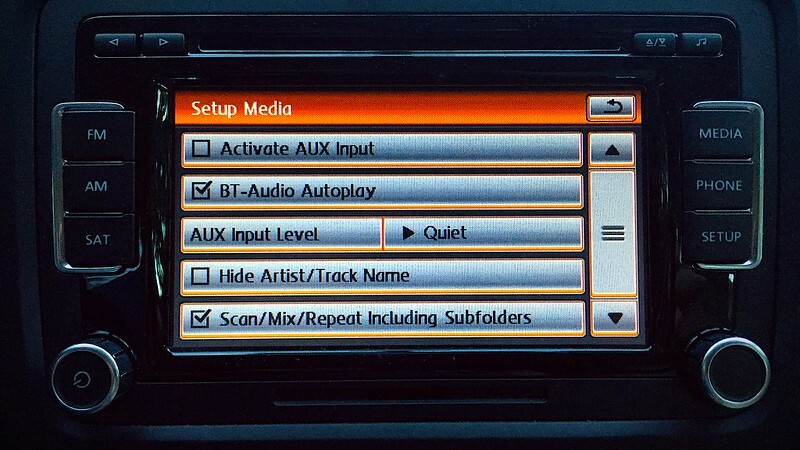 the fix suggestions are summarized in “how to stop the Music app from auto-playing in your car”. #2 is “turn off auto-play in your car, if possible”. okaaaaaaay. hmmmm, i had no idea there was an autoplay option. so i went looking and it turns out there is! we’ve had the car for longer than the iPhone and i don’t have an explanation for how/why it suddenly it started auto-playing ( did odin mess with the settings? )? either way i can’t believe there’s way to configure autoplay on the iOS side. really, apple? i’m sure it’s not a coincidence that it defaults to autoplay apple music. i’m glad volkswagen gives me a way to turn it off in lieu of ability to control it on the device side. 251/365. still life of the fruit bowl. 174/365. 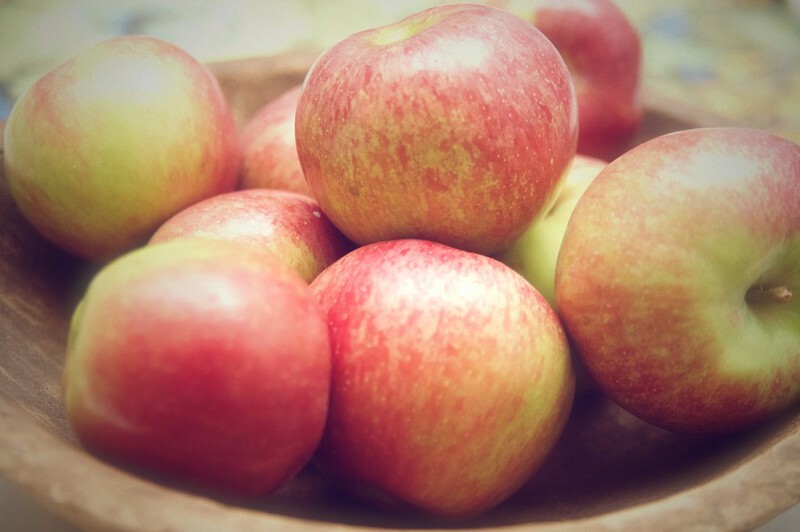 first apple on our apple tree! and the emergence of mystery rust red splotches on leaves. 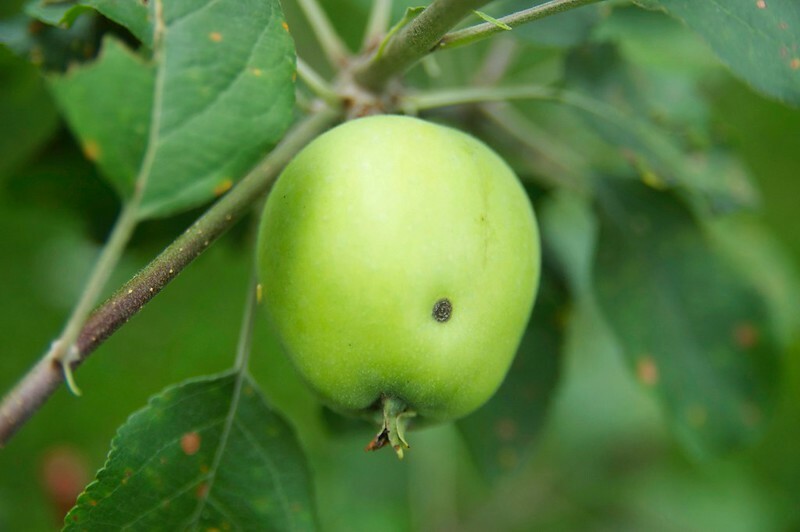 surprised to see we already have an apple on the transparent apple tree we just planted last fall. also bummed to see we have mysterious rusty red splotches on the leaves. can any apple tree experts identify? 127/365. 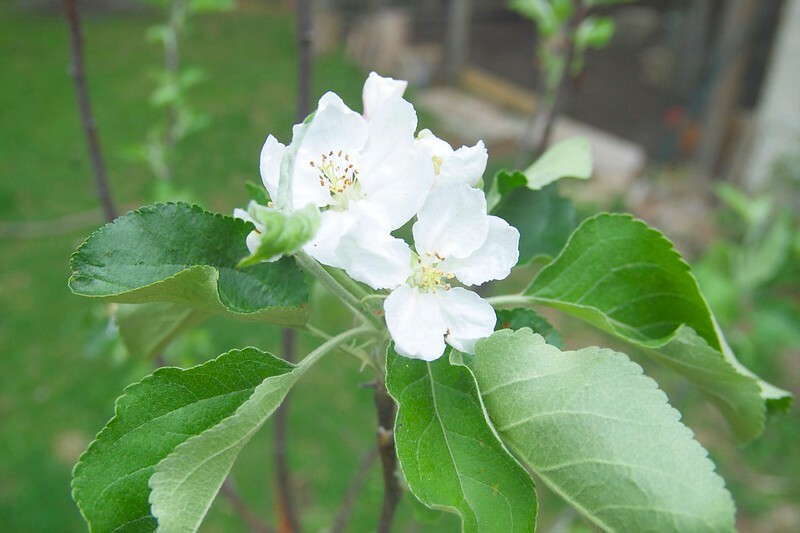 first blossoms on our new transparent apple tree. no peaches but we’ve got a billion cherries coming and a few blossoms on a transparent apple tree that we just planted last fall. i don’t expect too get much if any fruit, but maybe next year! it’s supposed to be a dwarf but it’s already 7 feet tall?! 41/365. 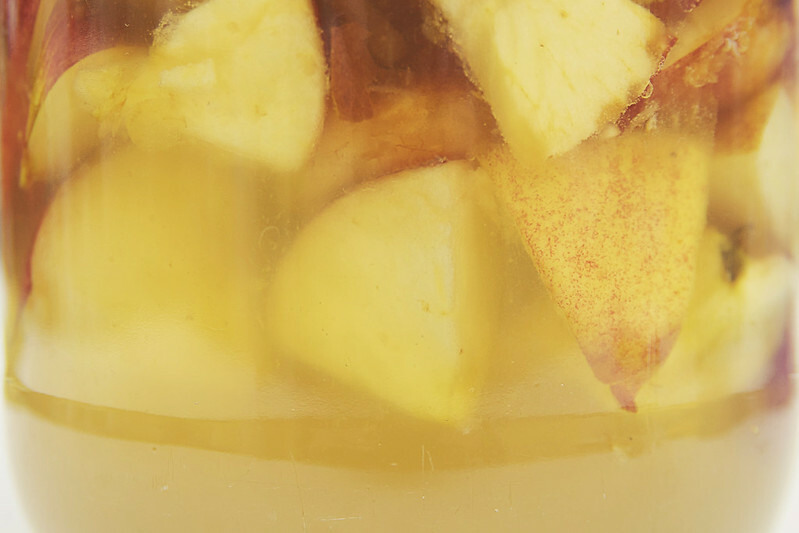 homemade apple cider vinegar. odin walked up to his mother and handed her this piece of paper. “what’s this?” she asks. 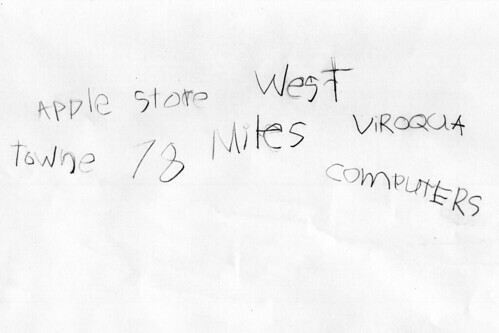 odin replied, “here’s where we can get a good computer.” kris asked him how on earth he learned you could get a good computer at the west town mall 76 miles from viroqua. of course, siri is a bit biased and directed him to the apple store at the west towne mall in madison.